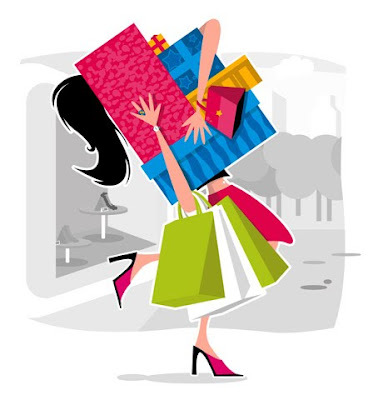 FitBody Fifty: Let the shopping begin! a) I bought them on eBay, and they are preloved bargains, which everyone knows isn't even real shopping. The Billabong jeans are sensational, in perfect nick and look like they've been worn maybe once or twice. I haven't received the rest of my buys yet, but pants, shift dress and a silk skirt are on their way. Hurry up, Australia Post! b) I used birthday money to buy them. If it's not my money, it clearly doesn't count. Today I picked up a pair of black pants for work and a striped short-sleeved shirt while I was at it. And I still have vouchers from Rebel Sport and Lorna Jane to spend. Excuse me while I adjust my halo. Oh I definitely agree Kek. If you can't use an eftpos machine it's not real shopping so ebay don't count, and birthday money is MEANT for that! I thought it was obligatory to buy clothes and/or jewellery with birthday money. Nothing like new clothes to lift the spirits.